How many seminarians does it take to change a lightbulb? 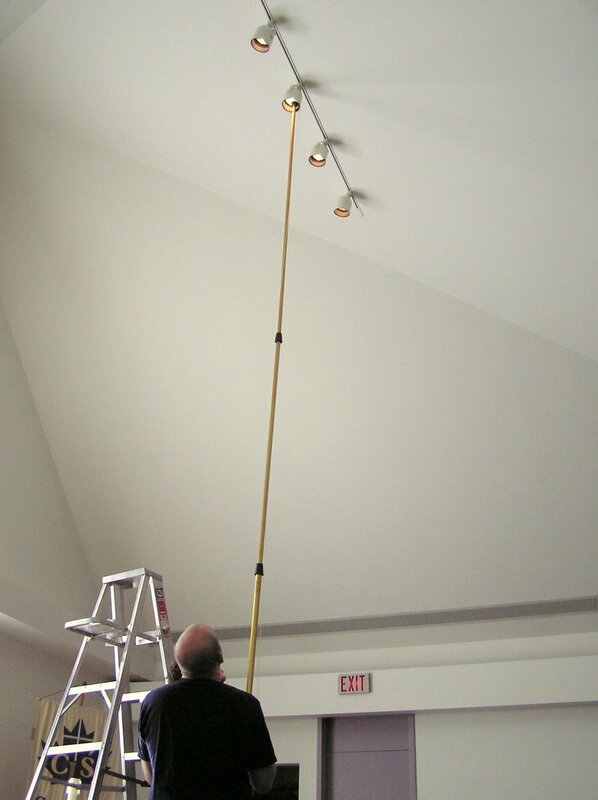 Apparently, it takes 3. 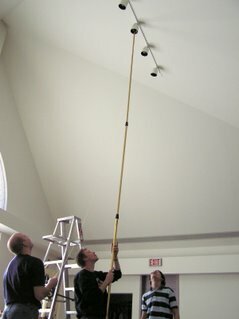 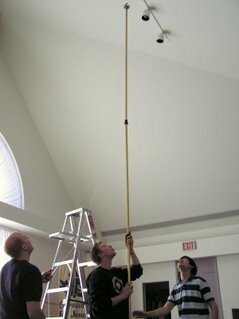 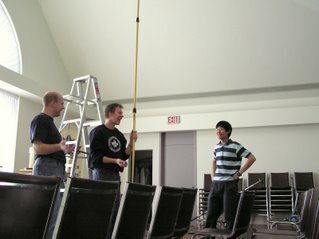 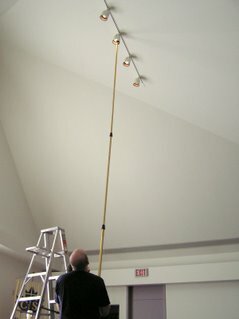 Kevin Platz, Jeff Dul and Ling Pui Yeong work together to replace bulb in the seminary chapel. An unidentified seminarian reveals his 'winking Luther' t-shirt just prior to the Seminary's Reformation Day service. 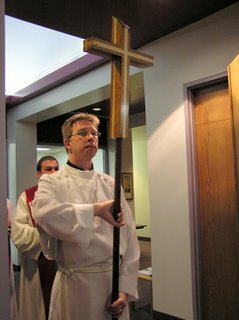 Fourth year seminarian Kevin Platz, leads the procession. 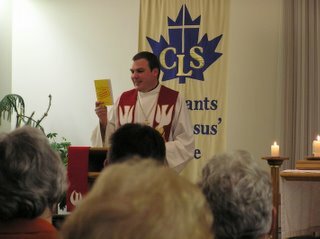 Professor Jonathan Kraemer delivers the message.